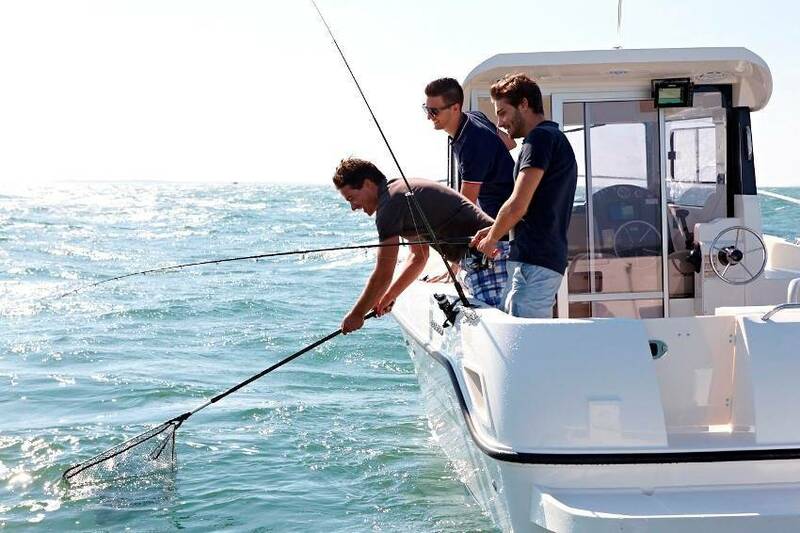 For those who love their fishing, but also want to have fun, the new 730 Arvor promises an experience that has never been better. 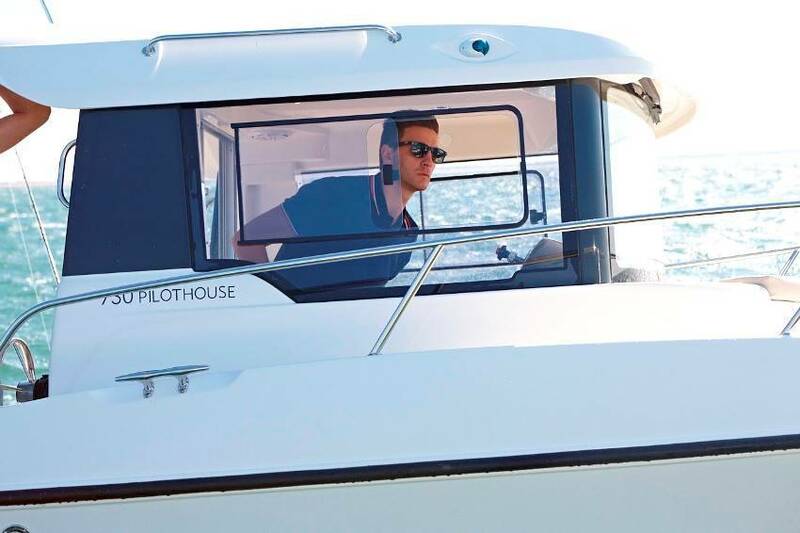 Combining the secure, seamanlike values of the Arvor hull with a modern pilot house cabin with 360° visibility and great comfort features, the new Arvor range offers literally the best of both worlds. 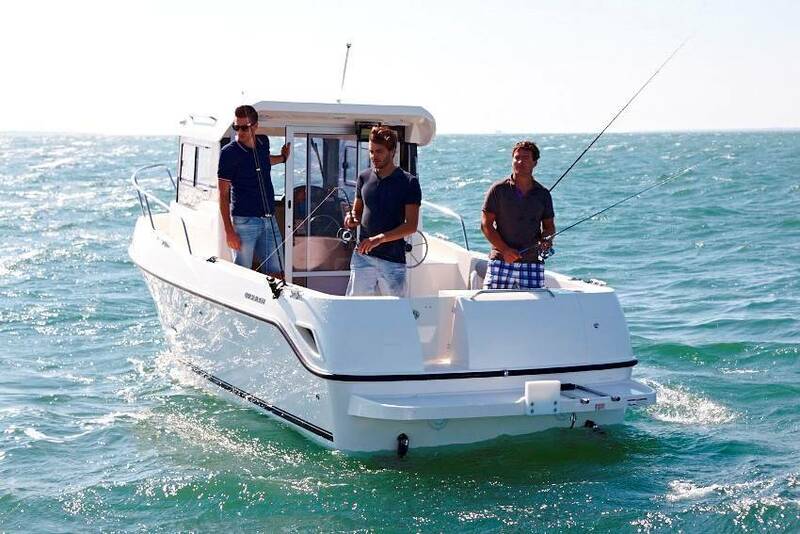 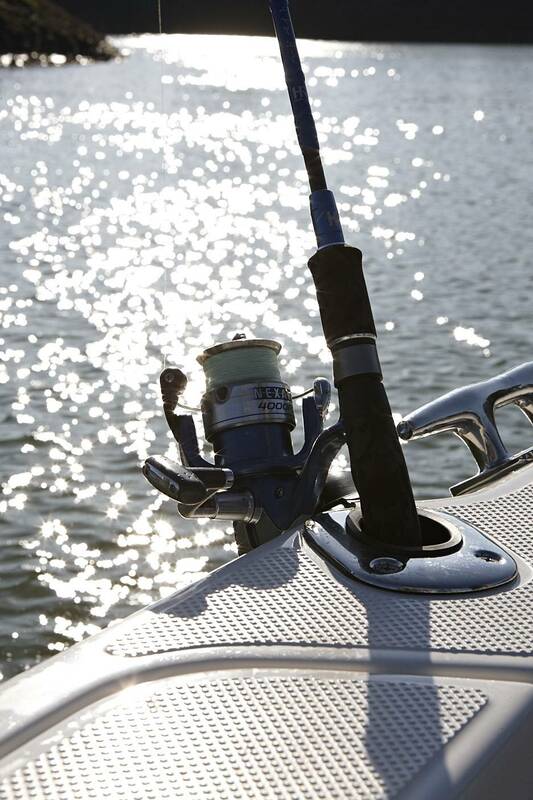 Powered by an inboard Mercury Diesel 150hp, these craft can motor at trolling speed for hours, and they’re also quick enough to get from place to place at speeds of up to 25 knots, putting you firmly on course for what must be the best fishing experience available in this category. 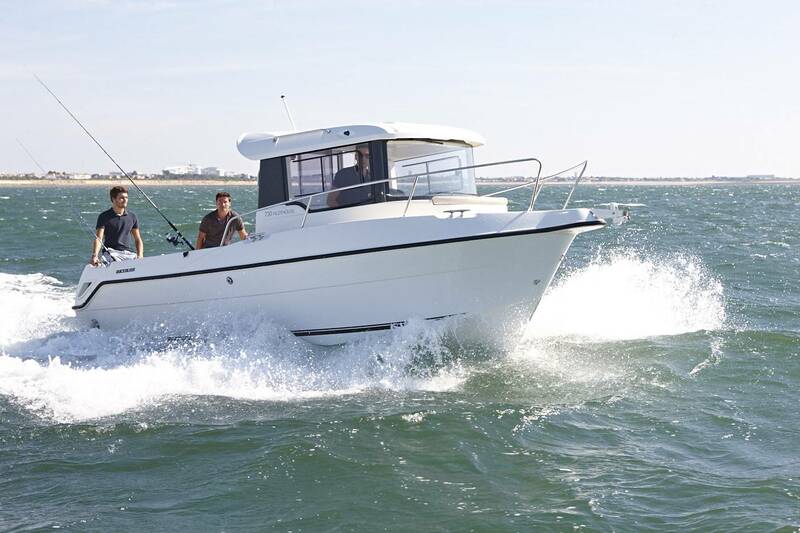 A tried and tested pro le, the Arvor offers robust manoeuvring capacities and excellent sea handling. 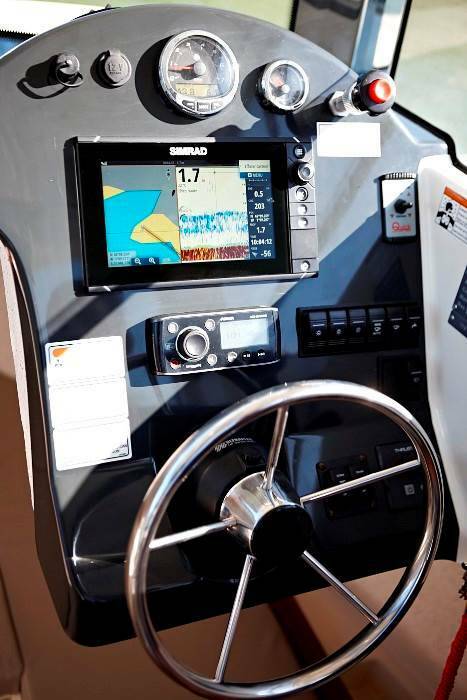 Its larger cockpit has been remodelled to offer better access to and from the water, with a high freeboard to ensure your safety in the cockpit a wider transom door that allow you to get on and off the boat either from the quay or the water in complete safety and comfort. 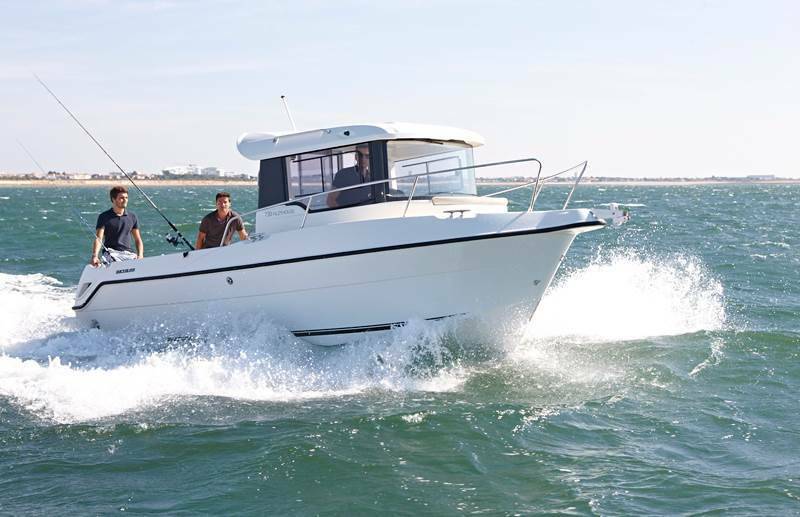 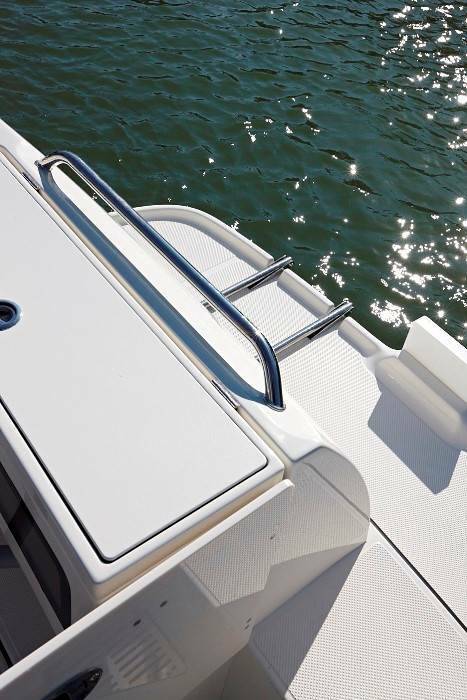 At the helm you have a 360° visibility and a starboard wiper, while the walk-around access and bow rails ensure total security up forward. 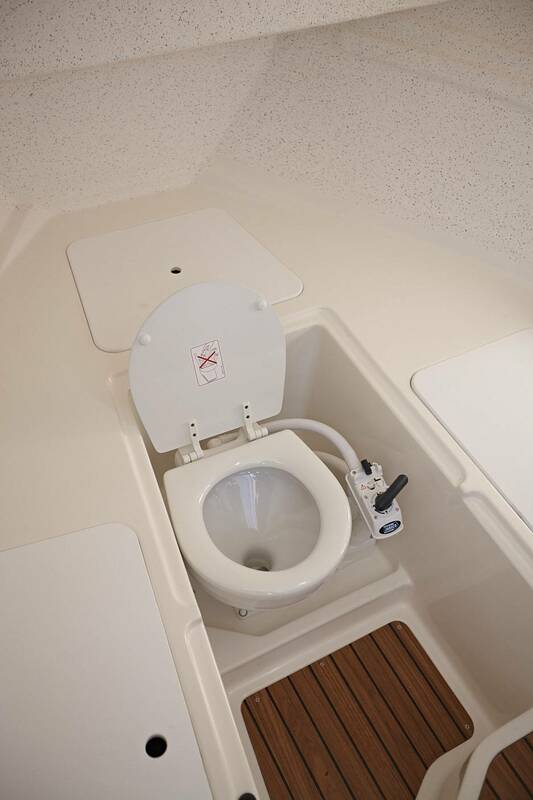 The cockpit is ideal for shing and offers space for 4 persons to sh of. 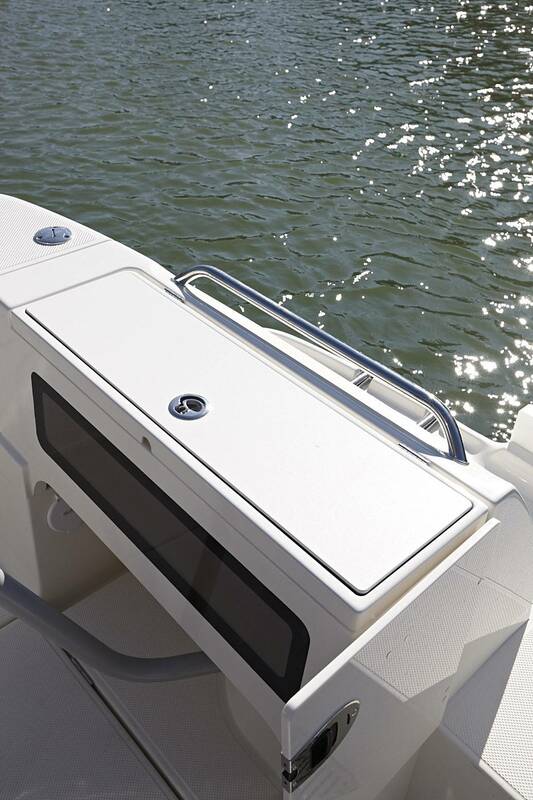 It is packed with a wealth of features – rod holders, livewell, sh lockers, cutting board– it’s sure to bring a smile to every angler’s lips. 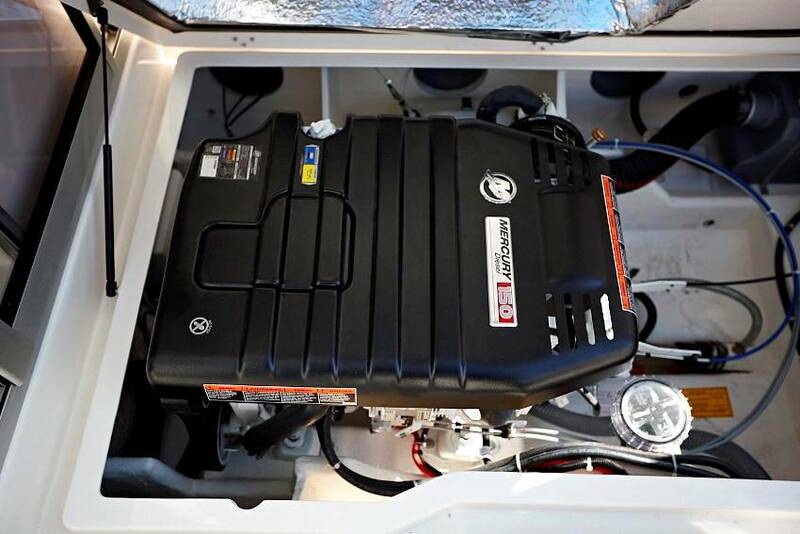 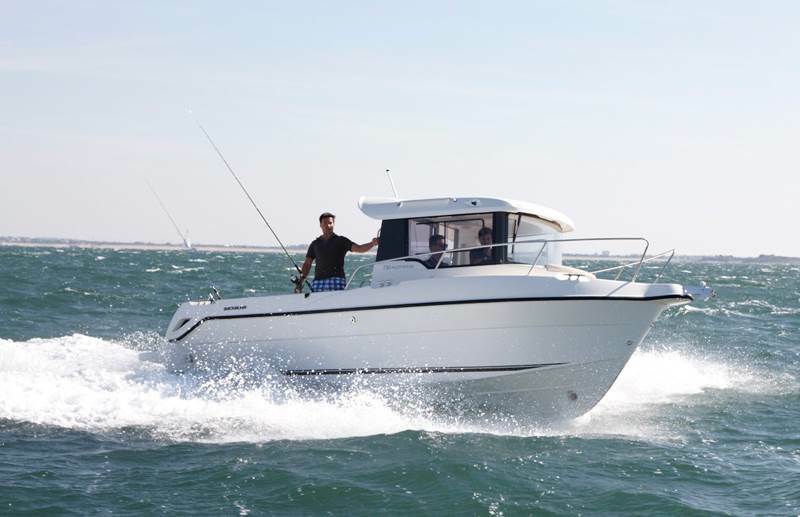 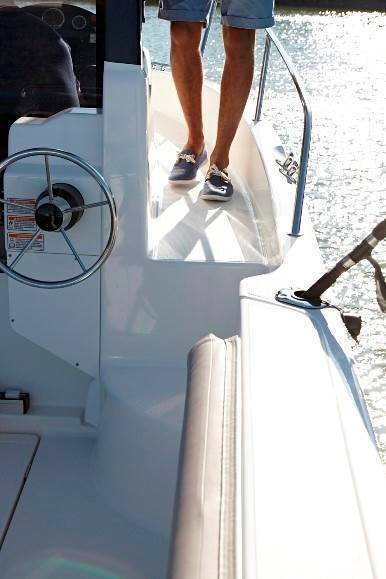 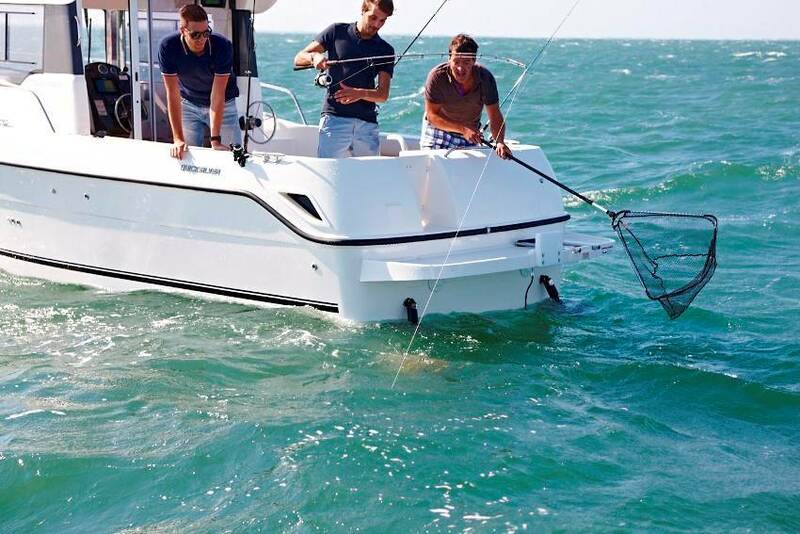 The 730 Arvor comes with the 150hp inboard Mercury Diesel engine with a trolling valve, which means you can troll for hours without understressing the engine, but you can also get to where the sh are a comfortable speed. 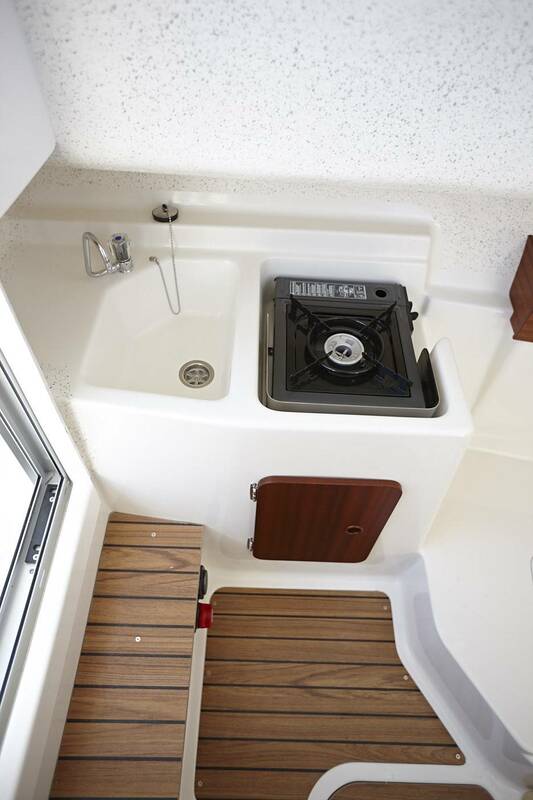 And of course, the fresh water sink and butane stove in the cabin mean you can cook your catch at the end of the day. 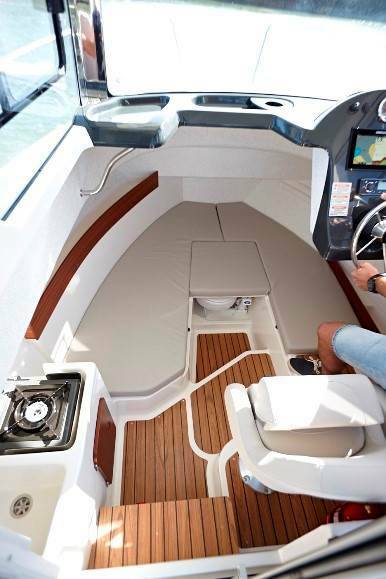 The 730 Arvor’s roomy cabin just makes shing all the more enjoyable. 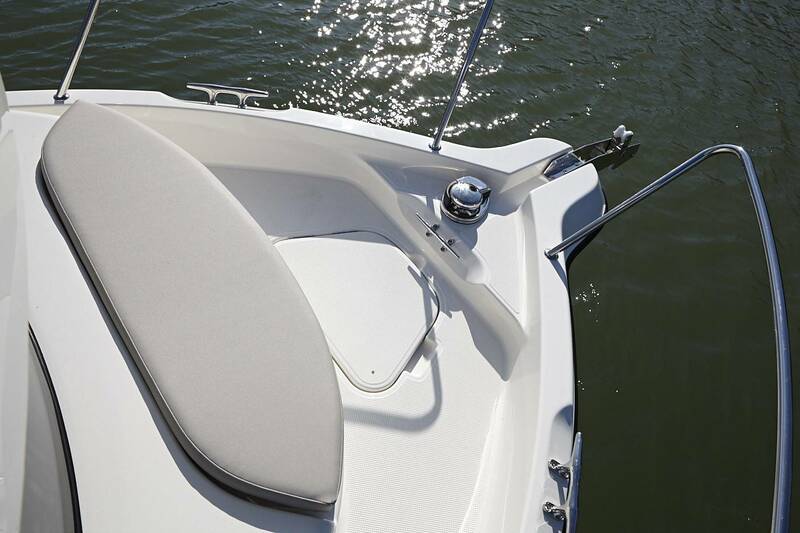 Comfortably sleeping two, its 360° visibility gives it a light and airy feel inside, while protecting you from the elements. 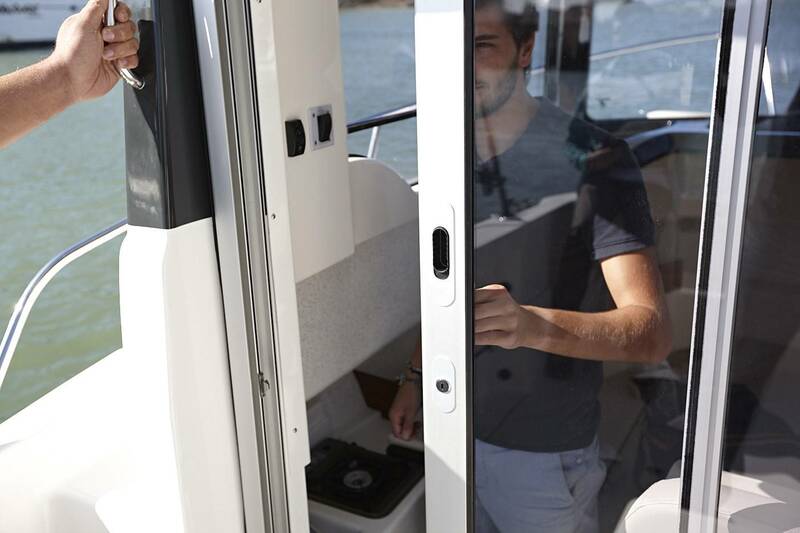 The roof hatch and a sliding window offer extra ventilation, and the wider sliding door gives extra ease of access in and out. 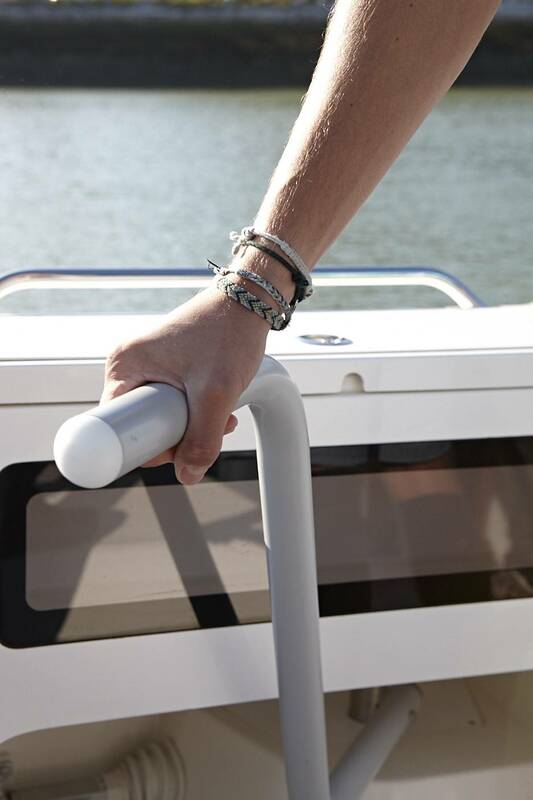 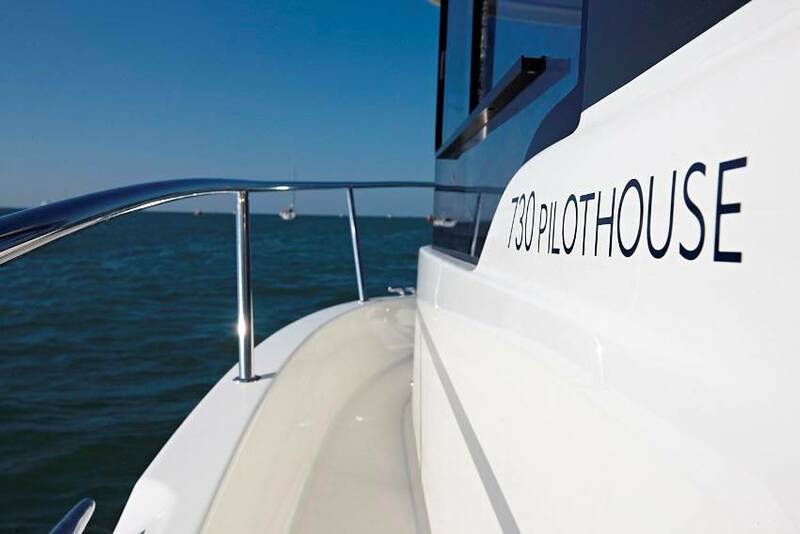 On deck, anti-skid surfaces at key points mean better manoeuvrability around the boat, and for the very best in navigation comfort, go for the optional dual helm station. 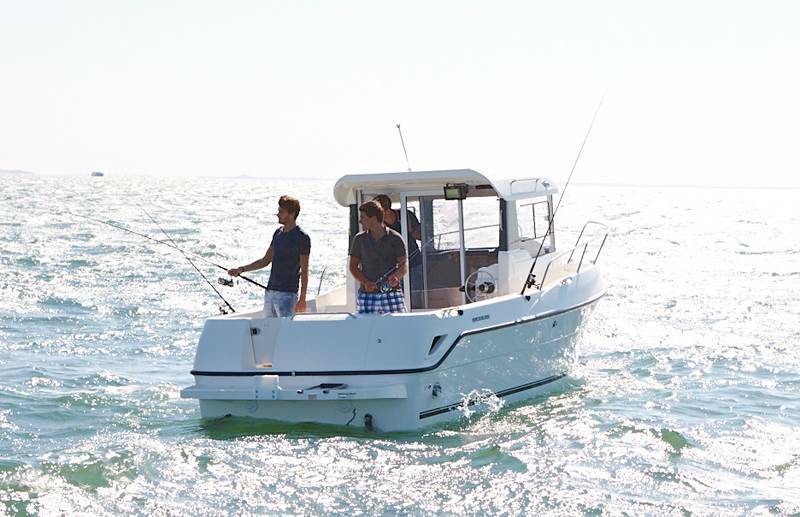 Besides offering plenty of space, the new 730 Arvor also boasts plenty of storage. 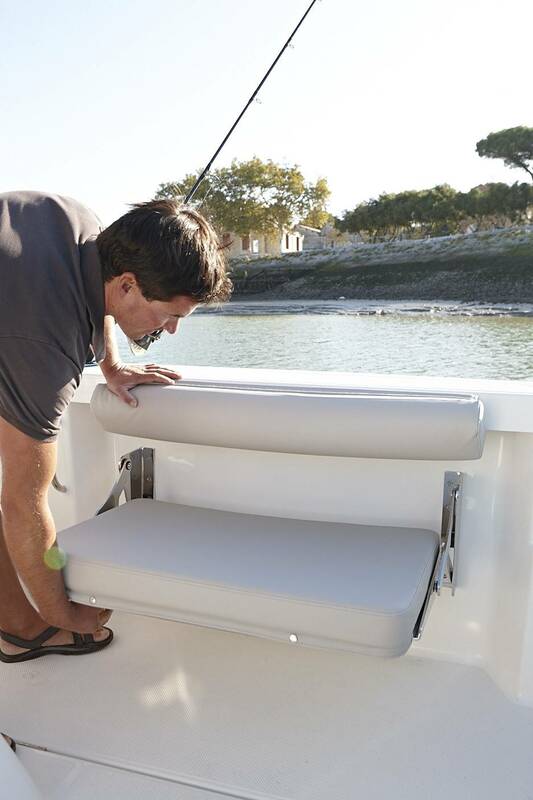 The cockpit rod storage keeps your shing rods safe and out of the way. 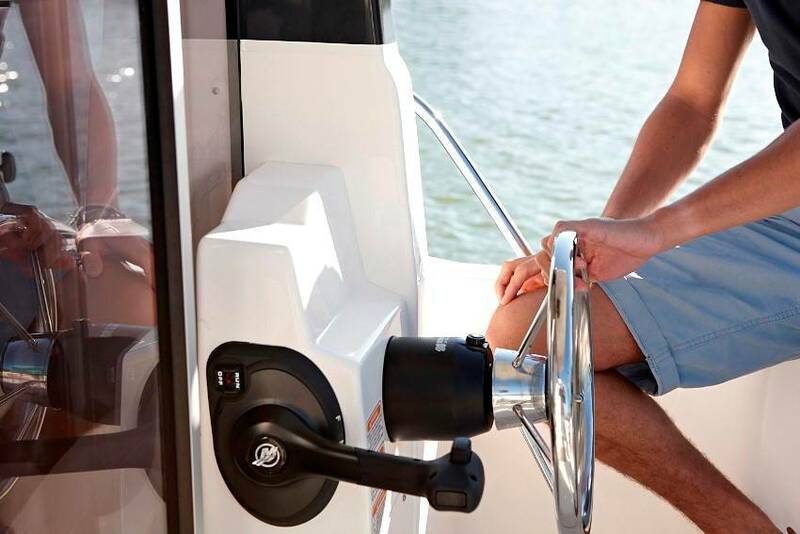 Lockers in the cockpit oor and additional space under the berth provide a variety of safe, accessible locations for you to keep all of the things you need for shing and fun.